Building trust with your potential customers is the “easiest” way to increase conversions on your website. 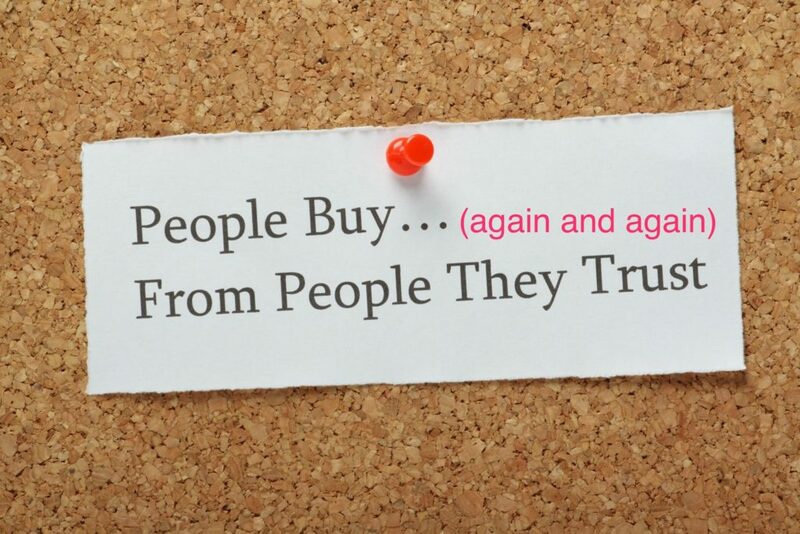 People want to buy from companies they trust and if you can gain people’s trust, you’ll see your conversion rates rise. That’s not to say gaining people’s trust is necessarily easy, especially if you are a new player in a particular marketplace. If you consistently deliver good service and good quality, though, that trust will build and you’ll quickly be able to tap into that most lucrative of marketing tactics that no amount of money can buy: word of mouth advertising. Get people honestly recommending your product or service to their friends and family and you’ve gotten yourself the trust that creates powerful brands. People are used to getting free stuff online and they now expect it. So, anything that you can give away without losing too much in the process, you should. Obviously, this is a little easier to do if you are providing a service rather than a product, but you can also find ways to give things away if you sell physical products. Virtually every service online has a free version. No, we’re not just talking about free trials, we’re talking about actually being able to use the service for free. You don’t have to make the entire service free, but having a free version is crucial. At least some of the people who sign up to use the free version will want the paid version. Getting them to sign up for the free version at least gets them into your system and primed for marketing to. Products are a bit trickier, but you can always throw in some smaller item for free when people buy something from you. Even if you do sell physical products, what you give away doesn’t have to be physical. Videos on how to use the product in various ways, guides on different things you can make or do with your products or other content relating to your products are all good things to give away. 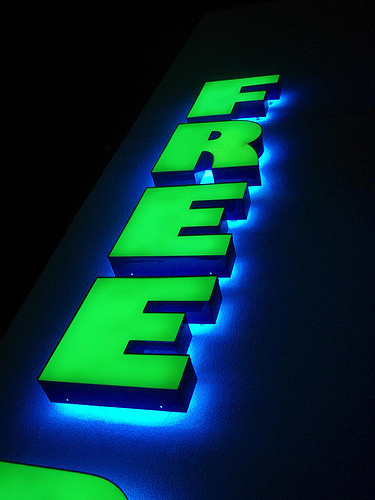 As a company that is trying to sell things, the word “free” can seem counterintuitive, but the internet has caused people to basically expect to get something for free from you, so you might as well oblige. Adding to the last point, not everything you give away has to be completely free. A person’s email has a lot of potential value for a business, so make a really good offer and give that away, but only make it accessible if you get the person’s email. What this does is bring a potential customer into your sales funnel and a sales funnel is something you absolutely must have. 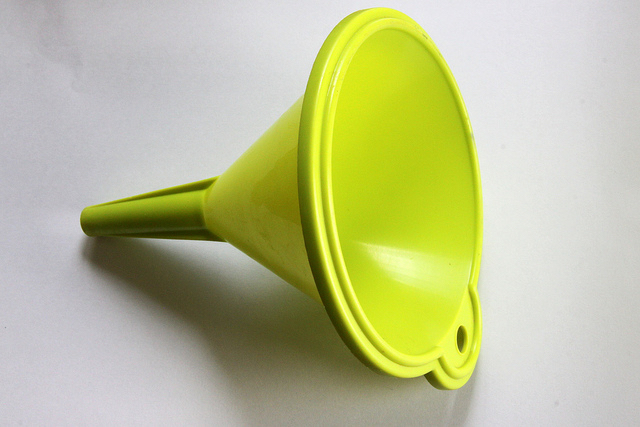 You need a way to contact potential customers and to build a relationship with them and that’s what a funnel is for. Entice them in with your free stuff, get them to sign up with an amazing free offer and then gradually draw them in with superb content and automated email drip feed marketing complemented with the occasional email blast with a “can’t refuse” type offer. Now that you have them in your funnel, you can keep building that relationship of trust with great offers and meaningful content and turn potential customers into paying customers. Even people who have never studied website design instinctively know when they land on a poorly designed site. It’s fairly easy to tell because you won’t know where to find things and it won’t be clear where you are supposed to go from one page to the next. Your site needs to be easy to navigate and it needs to be perfectly clear where a user needs to click to get from one page to another. Confusing layout, convoluted structure, distracting ads that might be mistaken for part of the site content or pages that take too long to load will all cause people to avoid your site after they’ve visited it once. Tools like Pingdom and Google’s PageSpeed Insights will help you keep your pages fast loading. As for usability, it always pays to have someone completely un-associated with your company test out your site to see how easy it is to navigate. The area you need to concentrate on especially is the checkout and payment process. If your site is the easiest thing in the world to navigate, it will mean nothing if your payment process is confusing and difficult to get through. Keep track of how far into the purchasing process people get before abandoning their shopping carts. That might give you an indication of where your checkout process needs streamlining and improvement. Even websites that don’t sell anything still do A/B split testing with things like headlines. 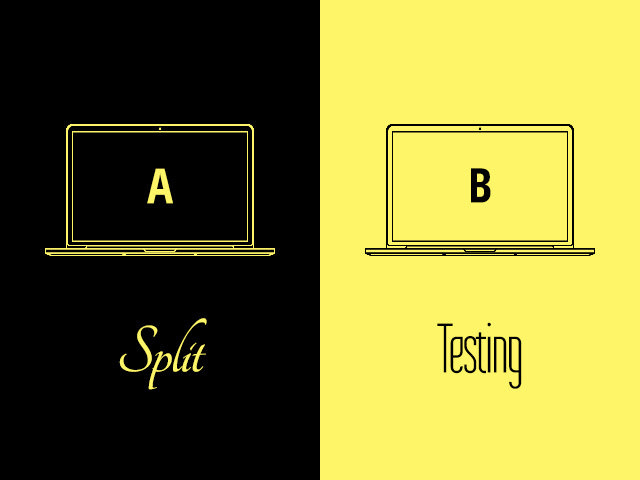 None of us know for sure what is going to work, which is why split testing is so important. It can easily tell you which offer works better for attracting people, which page design people respond to better or which email headline gets more opens and click-throughs. You’ll need to be able to track each option, so that might mean diving into your Google analytics account, but it will be well worth it to get used to doing split testing. Knowing which of two different elements performs better will allow you to drop the under-performing one and keep the one that works better and, in turn, test that one against other variations of the element to keep constantly improving your site and offers. While people trust those close to them, they also will put trust in your business if they see people who work with you have had positive experiences. That’s why it’s good to connect any review sites you might be on like Yelp or Angie’s List to your website through APIs or clickable badges. 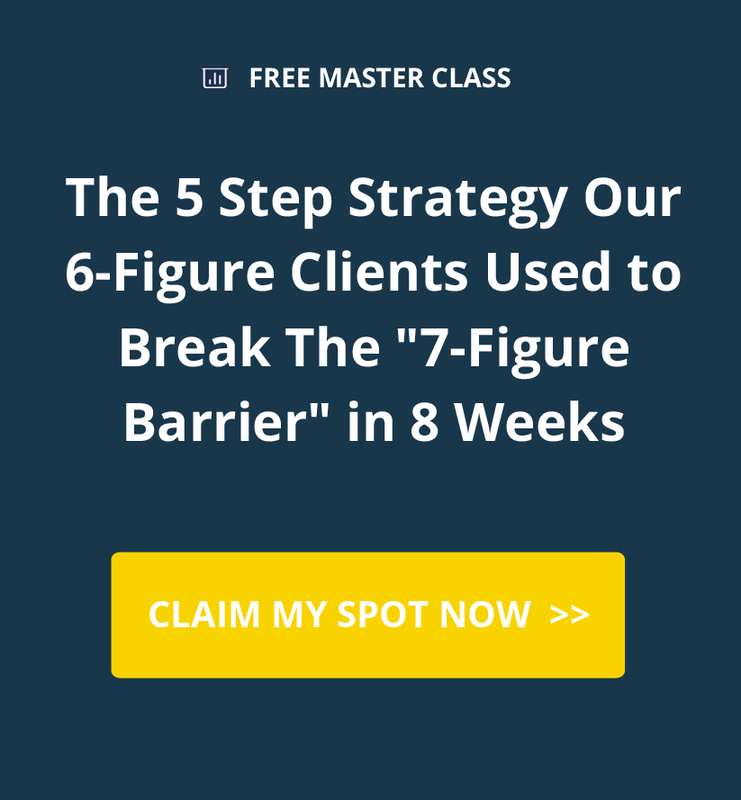 If you would rather go the testimonial route because it’s more suited to your business, present them in a way that makes them look legitimate. That means having a photo and a full name with them so people know these are real clients/customers talking. 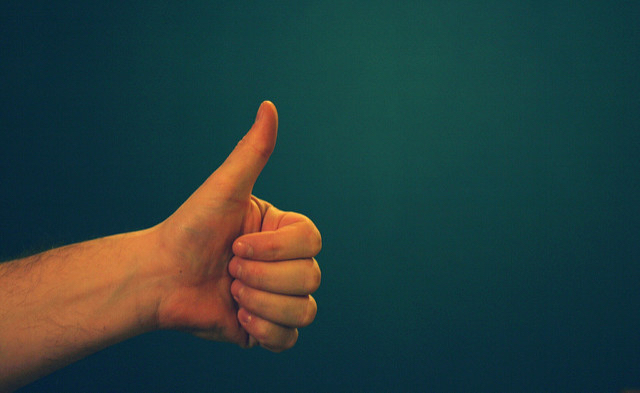 Use testimonials sparingly and go for quality vs quantity. A few longer, in-depth testimonials are better than a bunch of one-liners. Ask the people who are giving you testimonials to be honest. It’s all about creating trust in potential customers. 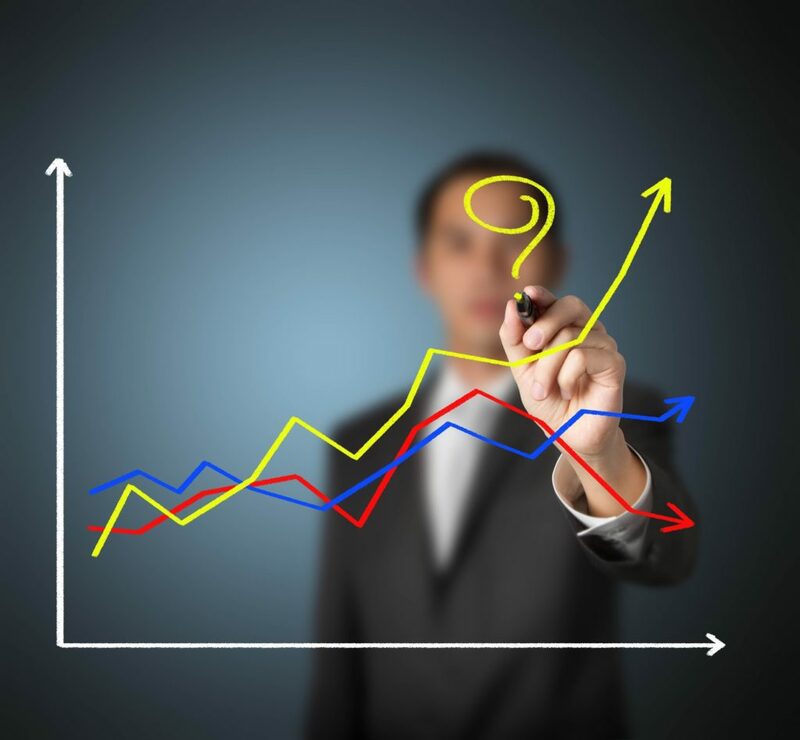 Do these five things and you’ll see your conversion rates rise. Building trust and gently nurturing relationships with potential customers are the keys to online marketing. What ways do you increase conversions on your website? Would love to hear in the comments. By the time you’re done reading this list, a dozen more marketing tools will have popped up on the internet. Things move that quickly. As a business owner you can easily become overwhelmed by the variety of tools available. So we’ve made it easier for you. Here are the 13 must have marketing tools that all growing businesses should be using in 2017. These are tools that we use ourselves at Lead Generation Solutions as well as use for our clients. We think you’ll get a lot of good use out of them as well. Enjoy! Automation is a huge component of online marketing. If you are short on time (and as a business owner, your default setting is short on time) then you need a way to automate all those niggling little marketing tasks that come with the territory of advertising online. 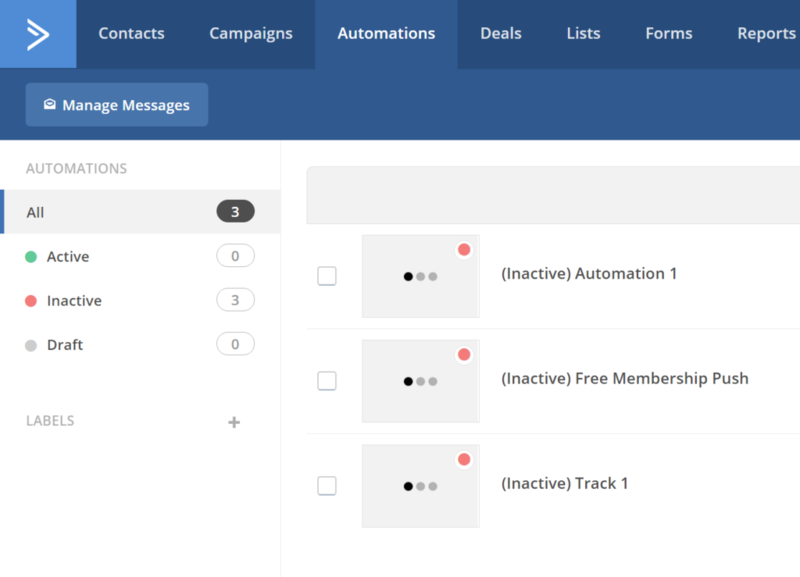 ActiveCampaign lets you automate email marketing, site and event tracking and much more. The backbone of the internet is search. If you know what your customers are searching for, you’ll be in a better position to fulfill those search queries on your site. That’s where Ask the Public comes in. This free tool allows you to enter a keyword and then receive insights into what questions are being Googled about that keyword and what subjects people are searching in regards to that keyword. It is a great way to help direct your content strategy for no monetary cost. Almost all marketing relies heavily on images. Canva allows you to create stunning images using photos, vector graphics, text and whatever else you want to include with your images. 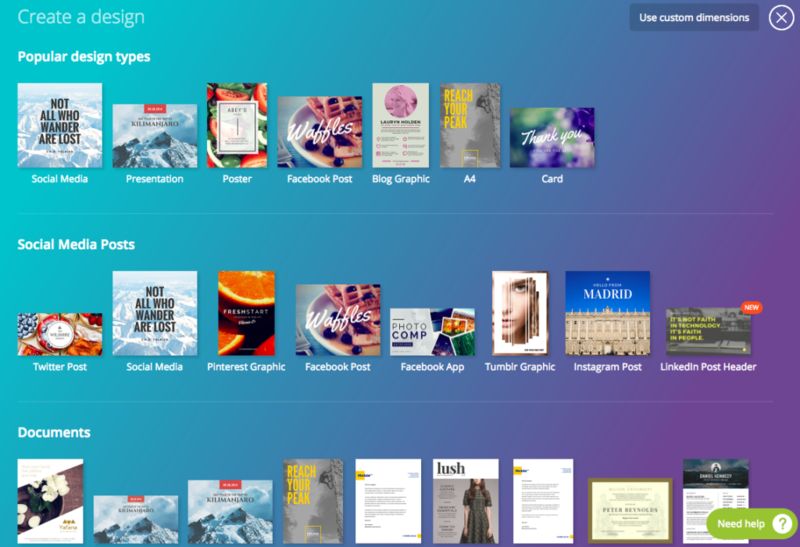 Upload your own or choose from the thousands Canva has available. It has a whole range of free pictures, free vector images and a lot of other elements to make your images super sharp (while keeping everything super easy). You can also get access to thousands of user-made vector images for $1 per piece. Everything resizes quickly and easily. You can never know enough about your audience. The more you know about them, the better equipped you’ll be to deliver meaningful messages to them. It gives you aggregated information about the geography, demographics and purchasing behavior of whatever audience you select. You can choose your location and see how many in your target audience live near you and what their interests are. If you know what their interests are, it will be much easier for you to target your content to them. Pay-per-click (PPC) campaigns are an integral part of any small business’ online marketing strategy and there is no better tool on the internet for planning a PPC campaign than the Google Keyword Planner. When executing an Adwords marketing campaign, you can use the Keyword Planner’s search volume calculator, which tells you how many people searched for a given keyword for each month of the past year. Couple that with location targeting and you’ll get a rough idea of how many monthly impressions you would get for that keyword in your area. That’s just one facet of this tool. It has a bunch more amazing features to check out while planning your PPC campaign. For small businesses that have a brick and mortar location, the number one concern is that people are able to find that location. And if you’ve moved locations, as small businesses are wont to do as they grow, being able to find you becomes even more important because you don’t want people going to your old location and thinking you’ve shut down. Moz Local makes it easy to check your listings across the internet to make sure your business name, your address and your phone number are consistent across all listing sites like Yelp, Google, Facebook and anywhere else that lists your business. If you see inconsistencies, you can easily identify the sites and get them fixed. If you fancy a bit of pseudo-spy work, Moz’s Open Site Explorer is a fantastic way to see what your competitors are up to. Think of it like sending out a scout to see your competitors’ movements. No matter how much market research you perform, it’s impossible to truly tell how a marketing campaign will play out until after it’s done. With Optimizely, you can easily test different campaigns to see which one works better. They have multi-level plans depending on what you want to test. A tool created by social media management company Buffer, Pablo helps you create scintillating social media images that will pop out from people’s news feeds. You can either upload your own image or choose from over 600,000 images that Pablo has access to. You can overlay text onto those images, choose different sizes and filters and logos and make it look exciting and professional. 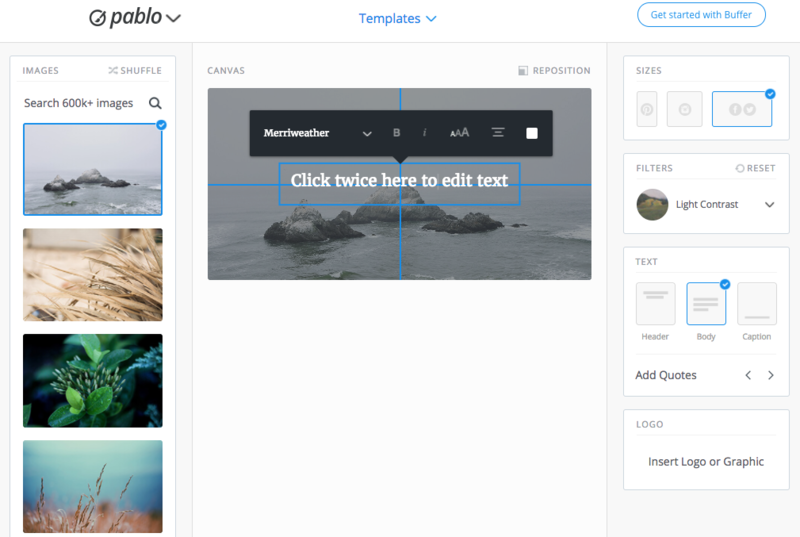 You don’t have to be a picture pro to use Pablo, but it will make you look like one. Don’t worry if you’re leery of amphibians and arachnids because the Screaming Frog SEO Spider Tool is a downloadable website crawler that you can use to identify easy SEO fixes on your site like broken links, missing meta data and duplicate content. The free version will crawl up to 500 pages. Siteliner has a lot of overlap with the aforementioned Screaming Frog tool, but one advantage is that you don’t have to download anything to use it. You simply paste your site’s URL into the explorer tool and it will crawl your site to check for duplicate content, broken links, unique content, your average page size and more. An oldie, but a goodie, WordPress is still the best blog hosting site around and that’s mainly due to its ubiquity, as it claims to power 27% of the internet. So many people use it and create plugins, templates, themes etc. for it that WordPress still maintains its usefulness year after year. 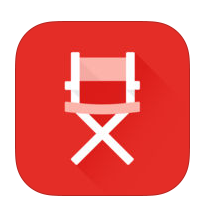 Switching things up for the last entry, YouTube Director for Business is an iPhone app (unfortunately and confusingly not available for Android yet) that walks you step by step through the process of making a great business video. It has over 130 ready-to-use templates that tell you exactly what shots you need to make a great video. Whether you run a restaurant, a retail shop or an insurance agency, if you have a YouTube channel that you regularly make videos for (and an iPhone), this app will help you with those videos by telling you what to shoot, how to frame those shots and what to say during those shots. You can also use it to upload directly to YouTube from the app. Many of these tools are free and the ones that aren’t free have free trial periods and reasonable pricing. To take your marketing to the next level, you need the right tools and you can’t go wrong with these 13 tools. Many businesses successfully achieve the goal of having a high amount of traffic on their websites. However, the problems start occurring when the website is not optimized well enough for a high number of conversions. Therefore, investing in ads is a complete waste of money for many businesses, if their websites are not well optimized for conversions. Luckily, there is always a way of increasing your conversion rates and getting more people to use your service without an additional investment in ads. Creating a funnel is essential, and more importantly, it should be performed before you start experiencing a high amount of traffic on your website. These are some of the points that you have to cover if you are looking for a way to attract a higher number of users. Creating a funnel that will lead to new customers is a challenging experience, as there are many steps to be taken. Increasing volume of visitors – Attracting visitors to your website without any advertising includes having an aggressive content marketing approach. The content needs to be unique and offer valuable information to your visitors. Have clear objectives – When it comes to landing pages, it is essential that you are as straightforward as possible in order to let the user know what you want for them to do. When the visitor is on the website, it is important for him or her to know what the next step is, and this makes it crucial to make certain elements of the page prominent. Make sure to include buttons for trial offers, signups and purchases stand out from the rest of the page. People will notice them more easily and are more likely to click on them, resulting in higher conversions. The email list – Establishing an email list is going to give you the chance to send free content to your visitors. The emails are going to contain valuable information, but also directions to a variety of landing pages for the services you are offering. Establishing this type of funnel is a basic step for every business out there and it takes a lot of time. However, it only comes down to a time investment, which is why it is so valuable. Even though many businesses tend to successfully create these types of funnels, the problems start to appear with conversion rates that are quite low. This is why it is important to take several other steps, to ensure that more people are going to buy the service from you. A good thing about any type of digital marketing approach is that everything is measurable. This creates a lot of room for flexibility and testing a variety of factors affecting the conversion rates. Calls to action – Experimenting with calls to action is a great way to increase conversion rates. Different expressions and colors affect people differently. The “Buy Now” expression is more direct and off-putting than “Add to Cart”. These small things can significantly affect conversion rates. For example, the people behind Contently have made their whole website a landing page with a prominent “Try for free button”. The website is designed to help the visitor understand all of the features and options, while the call to action button is present on every page they visit. Page Layout – This is something you can test and edit to a great extent. 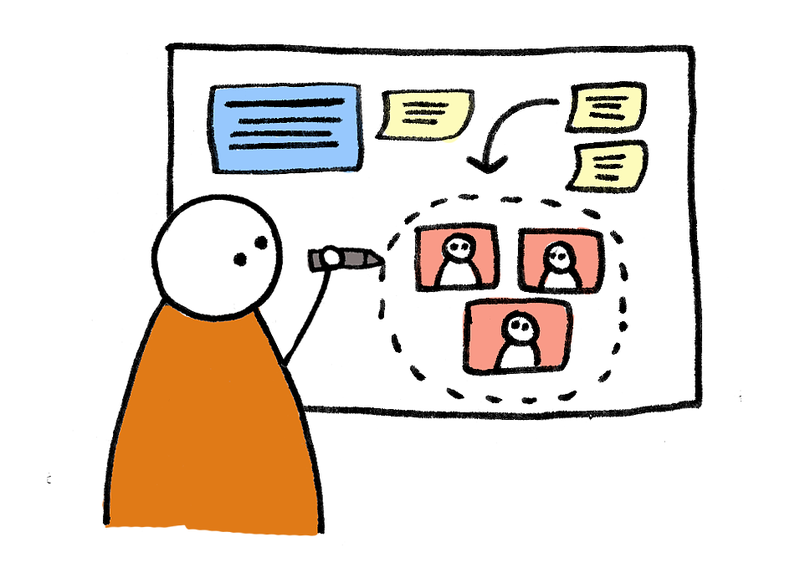 Having enough content to make the user understand what you are offering is the key part of every landing page. However, it is important to stay concise so that you don’t confuse the visitor. Additionally, different colors affect people in different ways, so consider coloring the call to action button differently so it stands out. Test different background images and the location of the content and call to action button. All these things will affect conversion rates differently. Give more options – When the visitor ends up at your landing page, he might not still be willing to make the purchase. You need to implement other elements that will give more choice to him or her. For example, include “Try a free trial” button or a “Learn More” button that is going to show them a video with additional content. Watch the metrics and see how each of these buttons are performing. 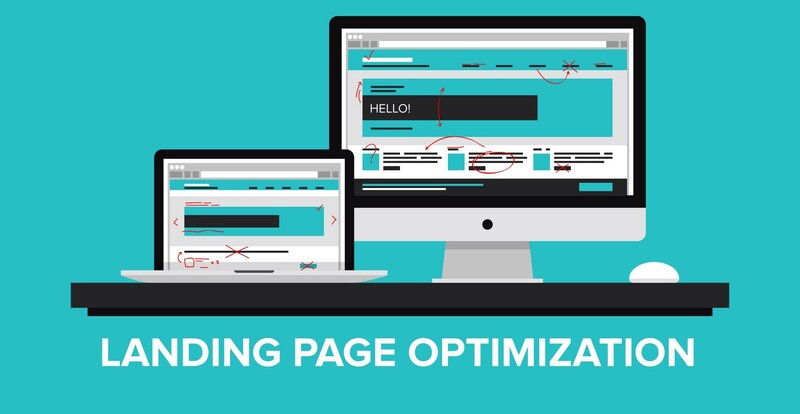 Tweaking your landing page is necessary if you are looking for a way to create one that will actually get users to use your services; testing is one of the best methods and should be performed continually, as it is always possible to improve your conversion rates. It is necessary to let the visitor know why they should pick you and not go for the competition. The best way to achieve this is to specifically stress a feature that clearly makes your service better than what the competition has to offer. Furthermore, all this information should be contained in a single sentence, which is going to help you stay concise with the content on your landing page. To back the claim, quote the experience of your customers with this specific feature. For example, Google’s apps for business page is full of variety of features that come with their apps. Additionally, they are stressing the element of positive co-working atmosphere which is presented with various images of people with smiles on their faces. In comparison with competition, Google has switched its focus not to the software product, but the people who are going to use it. Testimonials – Use images, quotes or publications from well-know resources. Additionally, include links to these pages to increase the trust factor. Address – Include an address and contact information at the bottom of your page. This is going to show that there is an actual company standing behind all the claims. Additionally, including online contact information is also going to affect the amount of trust that your visitors are going to have. Collaboration – Include a short list of companies you are currently collaborating with, and pick the best ones for increased authority. It is necessary to focus on the customer trust factor, because it directly affects the success of your business in the long run. It will not only motivate the person to buy from you, it is also going to make him or her come back in the future. For example, Dropbox features all the major companies they are collaborating with on their landing page. Additionally, it is possible for the customer to take a look at the Gartner Report, where they are presented as leaders in their field of operation. After reviewing their landing page, any customer is going to be certain that this company is offering excellent services and that they are truly professional. Continually optimizing your webpages for higher conversion rates is an essential part of any modern business growth strategy. Once you have a great sales funnel, ensure, with the abovementioned steps, that your pages are going to have higher conversion rates; it will skyrocket your profit margins.